Su-Chi Lin, Protection, 2012, color pencil, 30×40 cm, U.S.A. 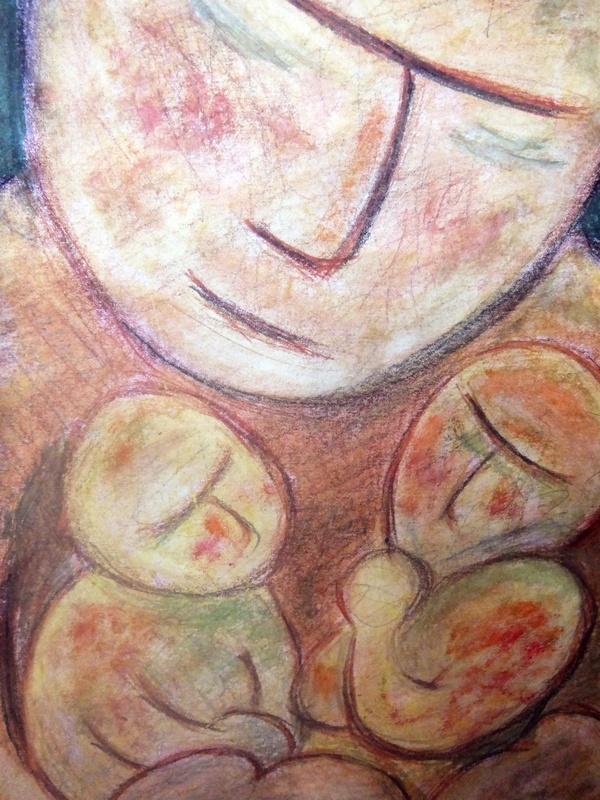 In this colored sketch, I portray the intimate embracing between mother/father and child. Two small figures surrounded by a giant shoulder receive loving care as they put trust fully in the power from above. This composition is inspired by Ps 17:8 , “Guard me as the apple of the eye; hide me in the shadow of your wings.” I first use curve lines to outline the harmony between God and human beings. Then, by adding few simple colors to make the contrasts between light and darkness, security and vulnerability, I enjoy giving figures the breath of life as well as the presence of God who create all things. Image, here, functions as drawing viewers into visual contemplation. Su-Chi Lin, PhD Candidate on Art and Religion at Graduate Theological Union with a concentration on Art and Mission.